It hasn't taken Southern Vectis long to repaint former Citycoach R309STA into its smart Moss livery. Of course if it had stayed in Plymouth it would eventually end up looking not too dissimilar - and equally smart. 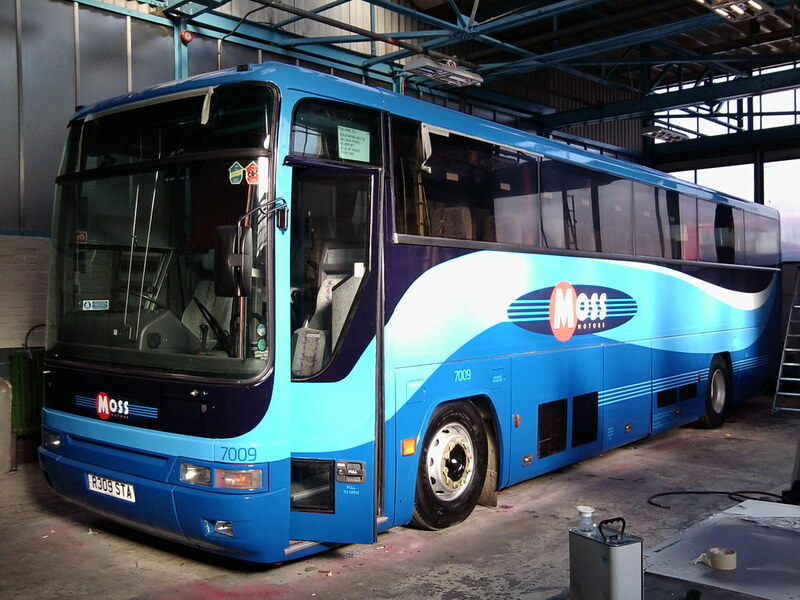 "Looking very smart in full Go South Coast, Moss livery, 7009 (R309STA) now with all transfers added and most parts refitted (except Wipers) inside the paint shop at Nelson Road, Newport on 1 February 2012." Pcb 315 has just been repainted and should be out and about in a few days.